Nereus—a mythical god with a fish tail and a man’s torso—was chosen Sunday (June 25) in a nationwide contest as the name of a first-of-its-kind, deep-sea vehicle under construction at the Woods Hole Oceanographic Institution. The vehicle, known until now as the Hybrid Remotely Operated Vehicle, or HROV, will be able to work in the deepest parts of the ocean, from 6,500 meters to 11,000 meters (21,500 feet to 36,000 feet), a depth currently unreachable for routine ocean research. 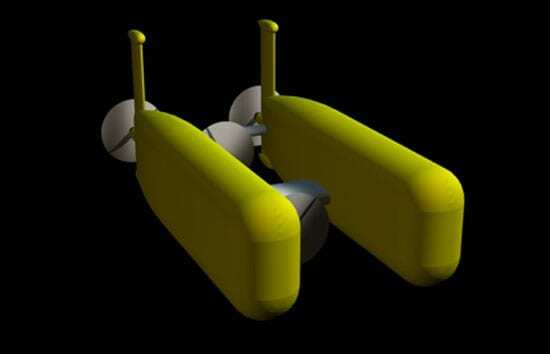 Scientists also plan to use it to explore remote, difficult-to-reach areas, including under the Arctic ice cap. Engineers and ship’s crew will be able to transform Nereus from a free-swimming vehicle for wide-area ocean surveys to a vehicle tethered by a cable to a surface ship that can be used for or close-up investigation and sampling of seafloor rocks and organisms. The transformation will take 6 to 8 hours and happen on the ship’s deck. “Nereus best fits the image of our vehicle, which engineers can change shape at sea for various science needs,” said Andy Bowen, the WHOI engineer overseeing the vehicle’s design and development. Bowen was among a panel of judges from WHOI and engineering consulting groups that selected Nereus from 22 entries in a naming contest open to junior high, high school, and college students who participate in the California-based Marine Advanced Technology Education (MATE) Center. The program provides students in the U.S. and Canada opportunity to explore marine-related careers through internship programs, and it sponsors an annual remotely operated vehicle design competition. “The students thought it would be appropriate to name it after a Greek god who combined two forms,” said Kelly Miller, an oceanography and chemistry teacher at Monterey High School in California who coordinated the winning name submission for a team of six sophomores, juniors, and seniors. Nereus (rhymes with “serious”) keeps with a tradition in the WHOI Deep Submergence Laboratory of naming vehicles for mythical Greek figures. Among others in the WHOI-operated fleet of vehicles are Jason (a fabled adventurer and ocean explorer), Argo (a ship used by Jason), and Medea (the mythical wife of Jason). 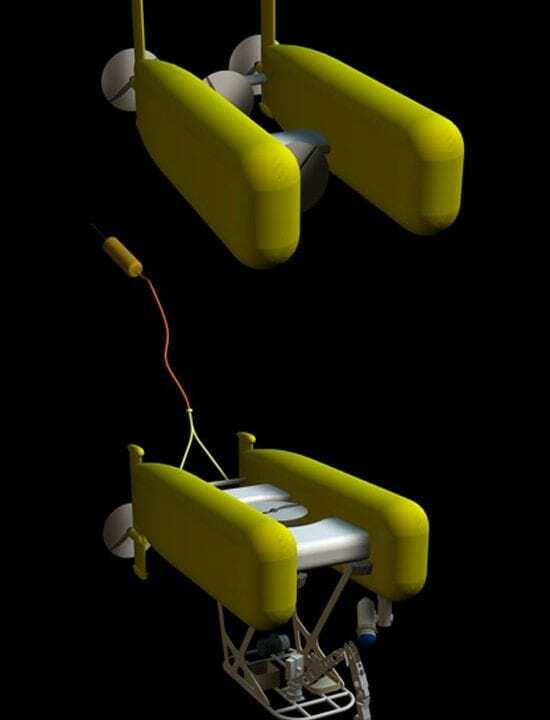 The $5-million, battery-operated vehicle will be the first ever designed to transform from a guided, tethered robot to a free-swimming vehicle. Each capability offers advantages to deep-sea researchers. 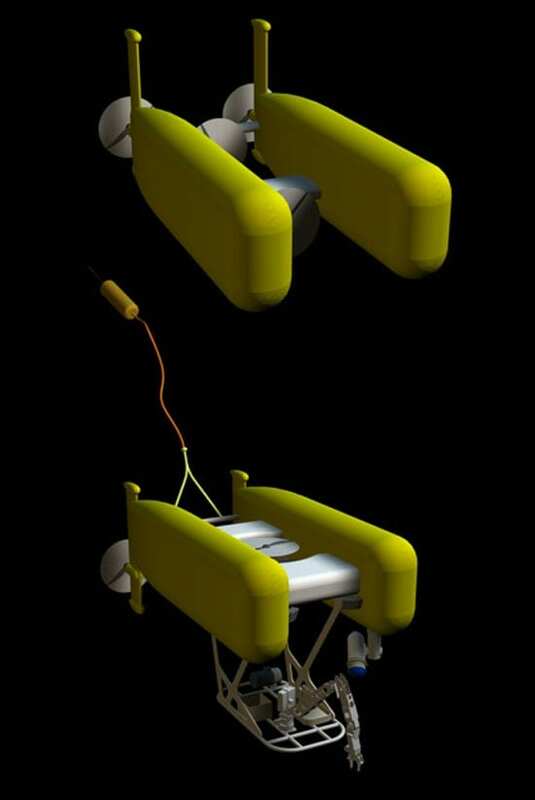 In its autonomous mode, the vehicle will be able to fly on pre-programmed missions over swaths of ocean bottom to map the seafloor, to gather remote data, or to search for scientific targets such as hydrothermal vents. In its tethered mode, it will remain connected via a hair-thin, 25-mile long cable that will enable scientists on the surface ship to send instant commands to the mechanical arm, used for gathering samples of interesting undersea rocks and organisms. Sea trials will take place offshore Woods Hole in early 2007, and scientists will plan to use it for research later that year at Challenger Deep, a trench in the Pacific Ocean southwest of Guam. It is the deepest area of any ocean, deeper than Mount Everest is high, extending almost 11,000 meters (36,000 feet) beneath the sea surface. The panel of judges involved in the name selection included engineers from WHOI as well as engineering consultants working on the vehicle at The Johns Hopkins University in Baltimore and the Space and Naval Warfare Systems Center in San Diego. Several teams suggested names inspired by wildlife, including the color-switching lizard Chameleon, the aquatic salamander Siren, the Hawaiian owl Pueo, and the scientific name for lobster, Homarus. Others proposed people names. A Newfoundland team suggested Jacques, after famed underwater explorer Jacques Cousteau. Harvey, proposed by a Florida team, acknowledged marine artist Guy Harvey. Audrey, the only female name, came from a California team honoring the late Audrey Mestre, who died in 2002 attempting to set a deep-sea diving record. Nereus was announced the winner during a June 25 awards banquet at the NASA Johnson Space Center in Houston. The prize for the winning team is a trip this September to see the HROV in Woods Hole, where Bowen said engineers expect to be concluding tests on the vehicle’s manipulator arm, thruster, pressure housings, and electronic components. Funding for the development of Nereus comes from the National Science Foundation, the Office of Naval Research, and the National Oceanic and Atmospheric Administration. See vehicle specifications and a project schedule, meet the team, view funding sources, and find answers to frequently asked questions.